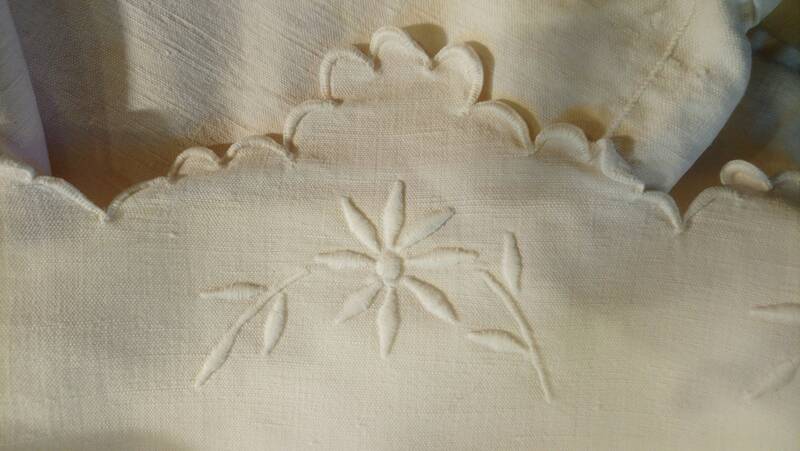 An original antique French linen embroidered dowry sheet, with beautiful daisy embroidery, monogram probably SJ and a deep scalloped embroidered top edge. 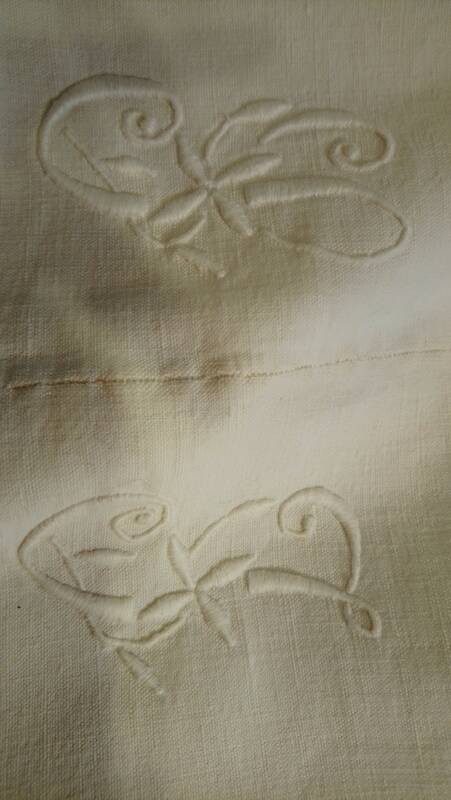 As this is an antique item, the condition is not perfect but marks and wear are minimal, a truly beautiful item. It could still be used as a top sheet or reworked into other projects. See photos. 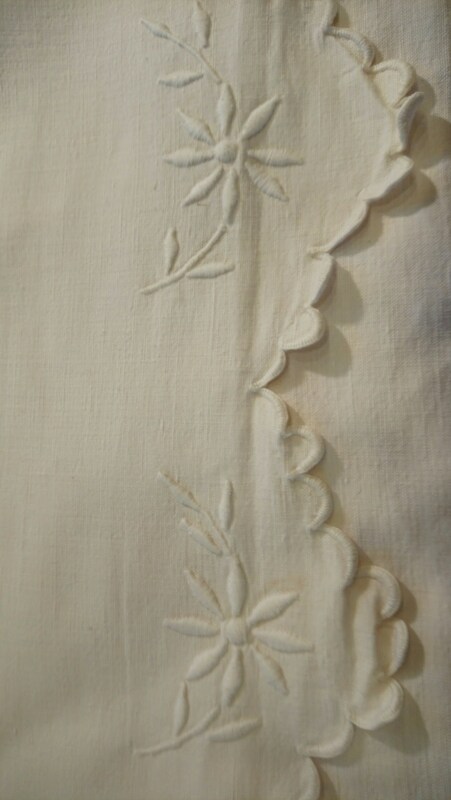 The sheets have been made with a seam down the centre, and all the stitching is hand worked. 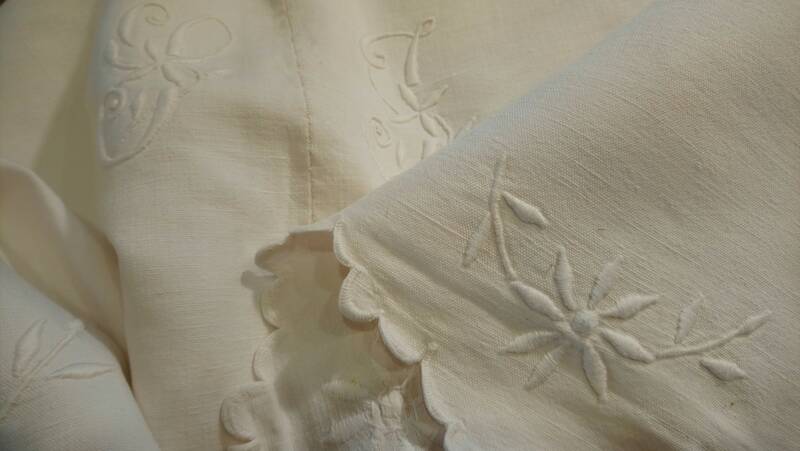 We have two of these stunning, heavy and large linen sheets, price is for one item.